When I went to San Francisco as a child the thing two things I remember most were walking out on the Golden Gate Bridge and going to Fort Point, located at the base of the Golden Gate Bridge. We did a number of other things on our trip there, such as, ride a cable car and check out Pier 49, but by far this memory stands out to me. As an adult I took my husband to Fort Point and it was as fun as I remembered and as an added bonus it is also free. Fort Point was built and used for the Civil War. Construction began in 1853 and in 1861 with war looming; the Army installed the first cannon. Fort Point stood guard through out the Civil War for an enemy that never came. In 1926, the American Institute of Architects proposed preserving the fort for its outstanding military architecture. Funds were collected and it is now listed as #82 on the California Historical Landmarks. Going to Fort Point allows you to step back into history. Some of the rooms are still set up the way they would have been during the Civil War and although railing has been added for safety the Fort is still very similar to the way it was back then. This is on my list of must dos. 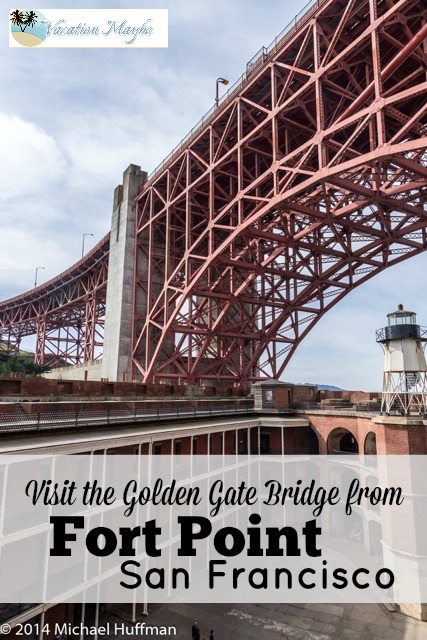 Parking is free at Fort Point and you can climb up to walk on the Golden Gate Bridge from the parking lot or you can drive and park at Golden Gate Park. Parking at Golden Gate Park requires a nominal fee, but access to the many trails, displays, shops and the bridge are free. 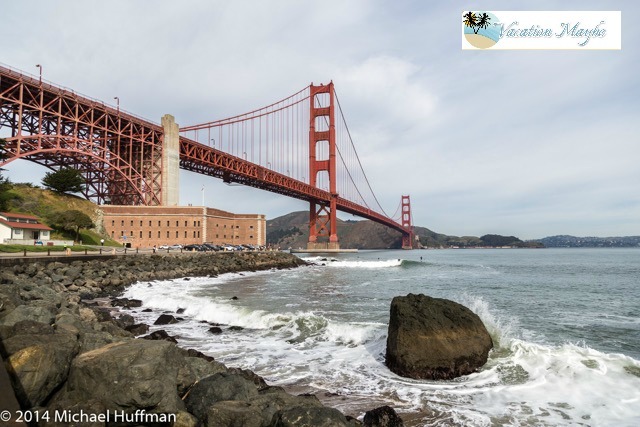 Another fun way to explore Fort Point is to rent bikes from Fisherman’s Wharf and ride to both Fort Point and the Golden Gate Bridge. There are bike trails through out Golden Gate Park. Check out more of Amanda’s adventures here.